I am the owner of an illustration and graphic design firm called World’s End Images. I received my B.A. in art from Millersville University of Pennsylvania. 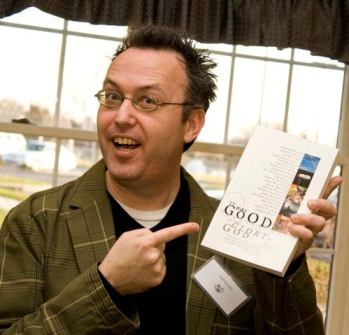 I have done work for various clients ranging from the Publication Society of the Reformed Episcopal Church, White Horse Inn, Young Life, to ICI Americas, Macy’s West and Armstrong World Industries. I was the art director for the late, great, alternative Christian music publication, Notebored Magazine. Much of my current work is for Veritas Press, for whom I have also written a number of books including Legends & Leagues or Mr Tardy Goes From Here to There, The Sailing Saint, Ella Sings Jazz, and a historic novel Squalls Before War: His Majesty’s Schooner Sultana. In my spare time I am the creative director for Square Halo Books, for whom I edited the book It Was Good: Making Art to the Glory of God. I grew up at Grace Reformed Episcopal Church and now am part of Wheatland Presbyterian Church. I have a kids book now available through Crossway Books called The Church History ABCs. My goal with my art is to make beautiful and good work that brings glory to God and loves my neighbour. My faith in God weaves through my work in fairly obvious ways, influencing first of all my choice of subject matter. The pieces showcased here are some of my block prints or linocuts. 1. 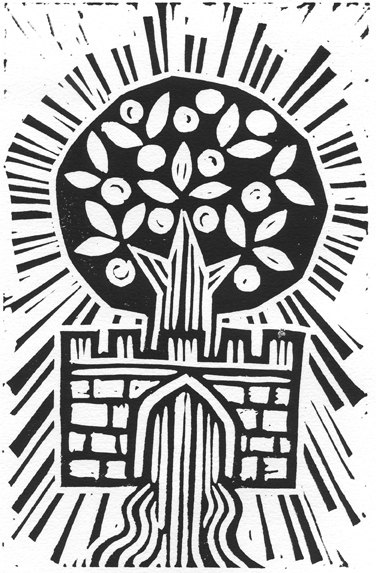 Shining Barrier is inspired by a book by Sheldon Van Auken, 13 x 18 cm, black linocut. 2. 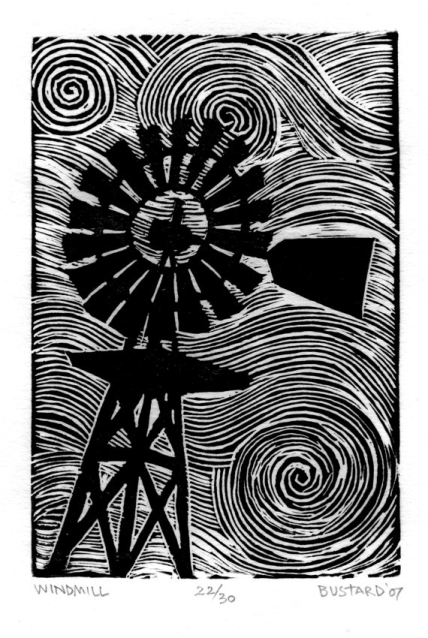 Windmill is a picture of the work of God in the believer’s life and was inspired by living in Lancaster County, PA and the work by Dayton Castleman, 13 x 18 cm, black linocut. 3. 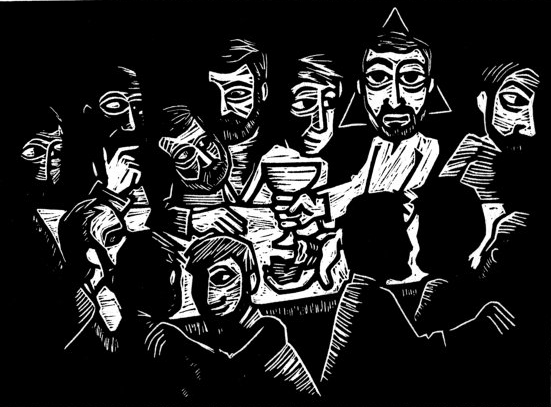 Taste and See is my attempt to do a picture of the Last Supper, 18 x 13 cm, black linocut. 4. St. Jack, a portrait of C.S. 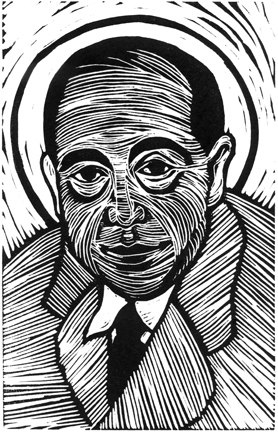 Lewis, 13 x 18 cm, black linocut. 5. 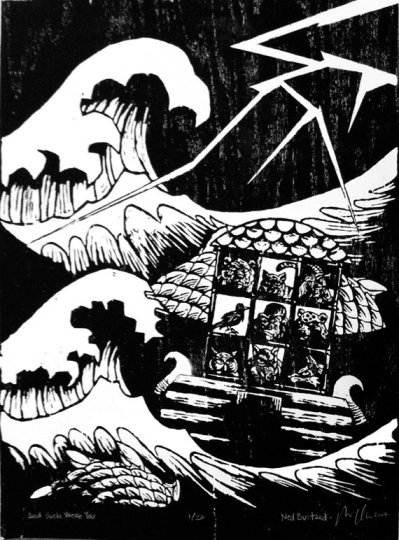 And Such Were You is a woodcut collaboration with artist Matthew Clark that was featured in my book It Was Good: Making Art to the Glory of God, 56 x 76 cm, black linocut.